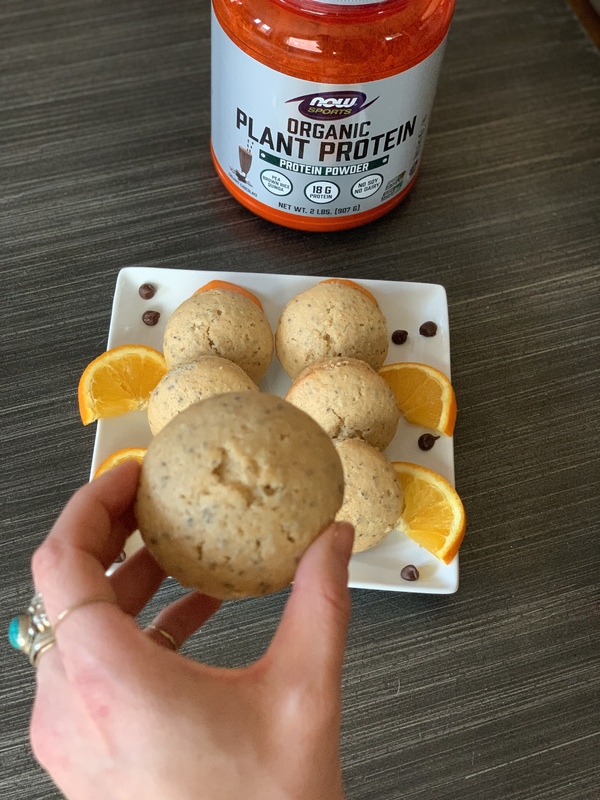 Orange, chocolate, and chia protein muffins – a better way to start your day! Packed with protein from chia seeds and NOW Foods Organic Plant Protein, and deliciously citrusy and chocolatey. 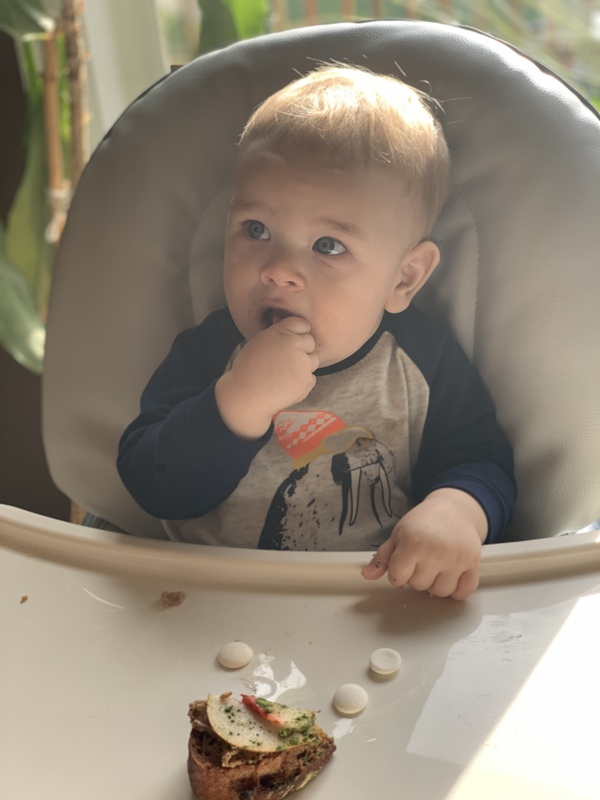 Ever since Colby (my little guy) started eating more solid foods (around 9 months), we’ve been determined to introduce him to new flavors, textures, and types of food as much as possible. He enjoys all types of food: carrot soup, pizza crust, Indian food, and anything and everything with beans. While he’s been a pretty good (and also adventurous) eater thus far, he’s also a big fan of carbs (just like his mama). Bread, muffins, pizza crust, crackers, biscuits, tortillas…he does not discriminate. 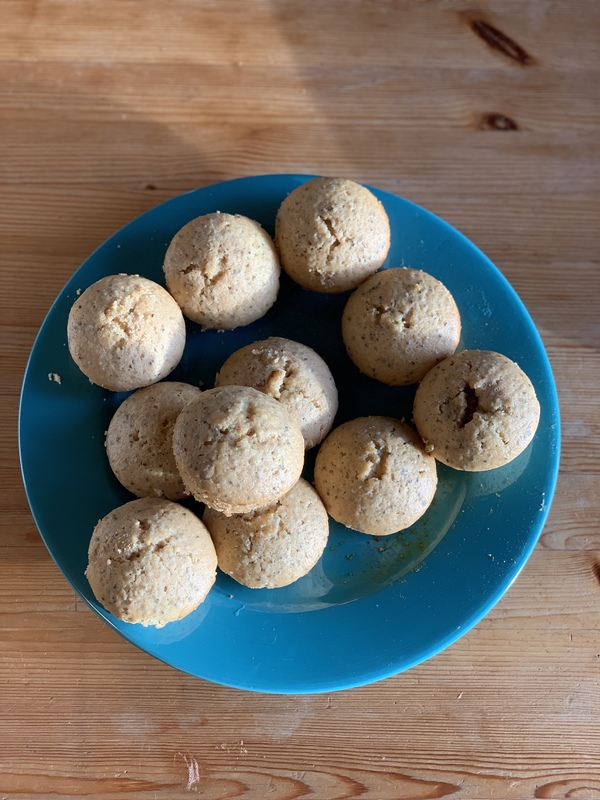 With his one year birthday approaching, I was waffling between doing the usual cupcake thing or trying something a tad bit healthier. 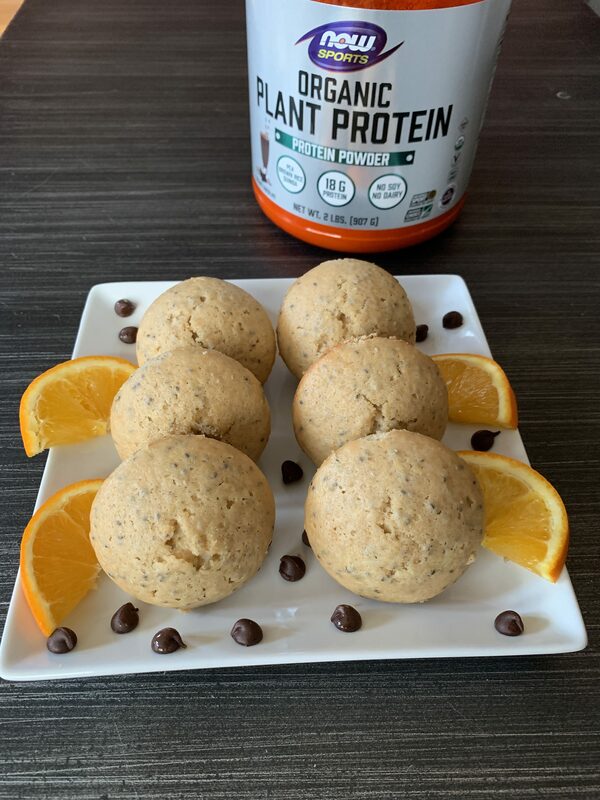 While I don’t want to deprive him of a carb filled birthday treat (or the chance to smush said carby treat all over his face and high chair), I thought I’d try and meet him halfway with a delicious protein muffin that is citrusy, chocolatey, and also packed with protein. Preheat oven to 350 degrees. Line a standard 12-cup muffin tin with baking cups. In a medium bowl, whisk together flour, protein powder, baking powder, baking soda, and salt. In a separate bowl, whisk together sugar, eggs, zest, orange juice, milk and oil. Stir wet ingredients into dry ingredients until just combined. Stir chia seeds into the batter. Divide batter evenly into muffin cups. Bake until tops spring back when lightly touched, about 20 minutes. Let cool for 5 minutes and then transfer to a wire rack to cool completely. ENJOY! Mama friends, tell me – cupcakes, cake, muffins…or….how did you celebrate your kiddo’s first birthday? 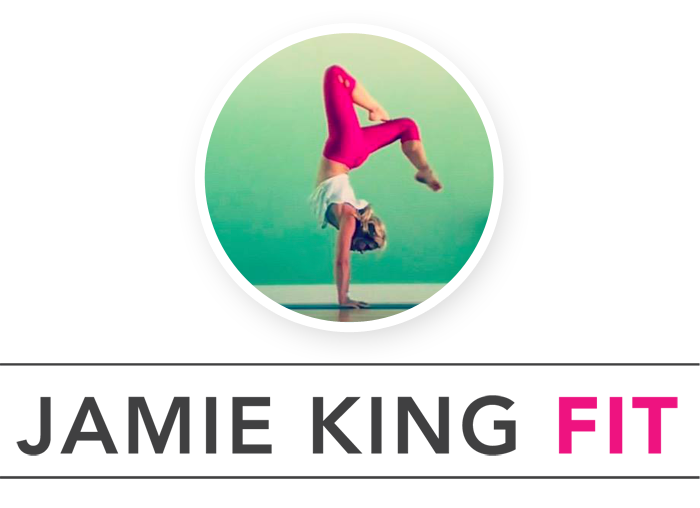 Disclaimer: This post is sponsored by NOW Foods through my partnership with Sweat Pink. That said, all words, thoughts, recipes, and birthday overanalyzing are my very own. I truly appreciate all of the brands that support the Fit Approach community. Oregon Coast's Astoria is a perfect getaway for families!